A Burner Management System (BMS) can therefore be a fairly complex system. This is in spite of a burner being conceptually very basic, with often only one single control loop to control it: the load factor. This load factor sets the optimum air flow and fuel flow depending on the heat load required. The ratio of air to fuel is critical for the safe and efficient operation of the burner. Too much air, and the exhaust gas is not heated to the required temperature. Too much fuel, and the combustion is incomplete, leaving combustible hydrocarbons in the system. Key to safeguarding the Air-to-Fuel Ratio (AFR) is measurement of the (mass) air flow and (mass) fuel flow. If the fuel flow is difficult to measure, but the venturi in the burner nozzle is fixed, then the fuel pressure may give a reasonable indication. 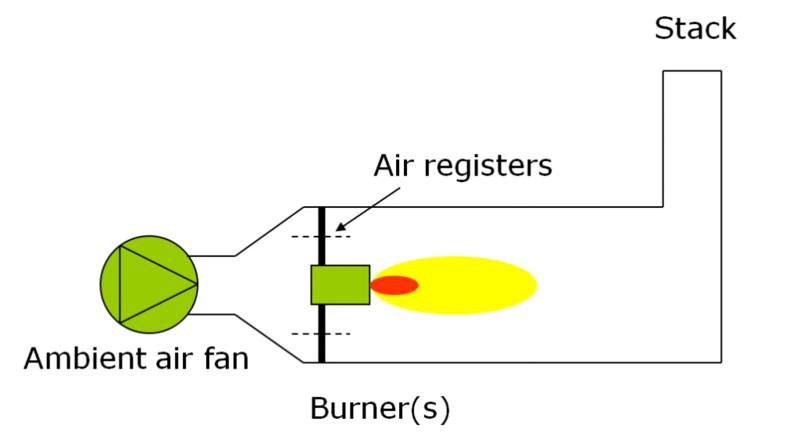 If the air flow is difficult to measure, the burner will have to operate at excess air conditions at all times. If the AFR is difficult to establish at all, for instance as a result of variable fuel composition, other means will have to be found to ensure that full combustion takes place, for instance by measuring O2 an CO-levels in the exhaust stack (lagging indicator) or by installing in-line analysers in the fuel line (leading indicators). We share our experience, developed over many years of providing Burner Management Systems for both newly built and refurbished burner systems for power generation and other applications. We build quality systems that work both safely and dependably for many years.